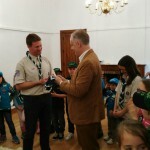 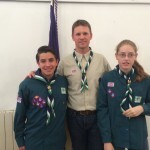 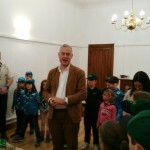 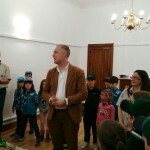 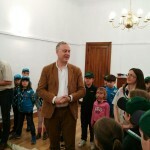 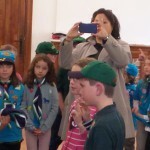 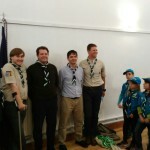 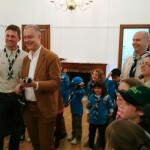 April’s meeting was a very special one in which we celebrated 100 years of Cubs with a formal ceremony which included a visit from the British Ambassador to Spain and Andorra, Simon Manley. 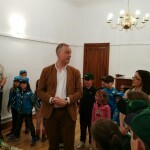 In an engaging speech tailored especially for our youngest members, Simon Manley asked the Cubs lots of questions and encouraged them to keep enjoying themselves as Scouts. 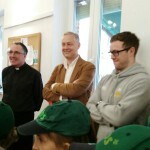 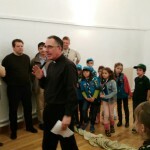 With St George’s Day (23rd of April) in mind, Father Paul talked about the myths and stories surrounding St George, especially in connection with the dragon. 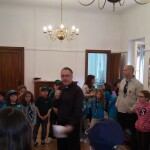 He asked who the patron saints of Scotland and Ireland are too. 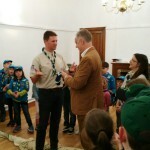 He then explained to the Scouts that there are all sorts of dragons in their lives which need to be faced with courage and determination. 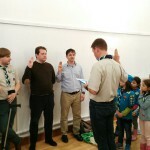 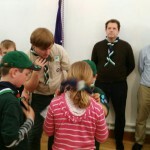 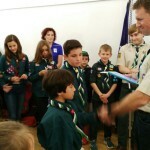 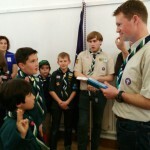 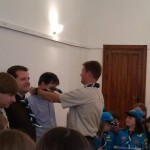 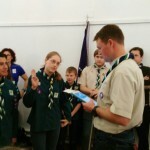 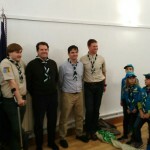 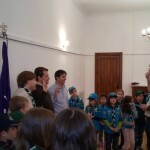 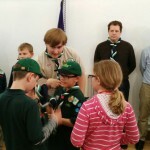 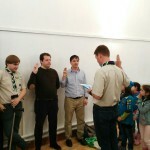 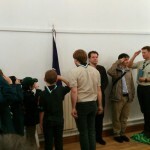 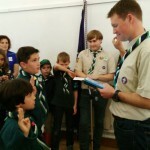 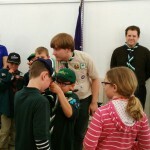 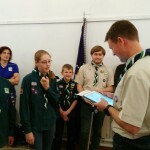 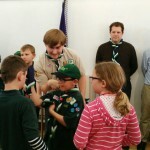 as well as two new leaders being sworn into the troop. 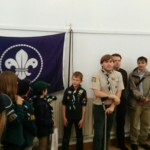 Furthermore a new section was opened for Explorer Scouts to continue the adventure for 14-18 year olds. 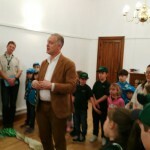 Then came the fun… our Akela Findlay gave an excellent speech about the Cubs turning 100 years before calling his pack to a Grand Howl. 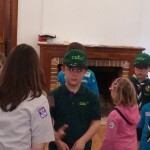 Although none of our Cubs are as old as 100 (!! 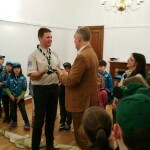 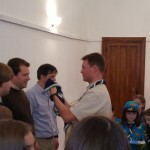 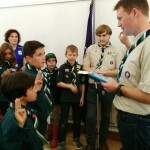 ), two of them turned 10 years old recently and moved up to Scouts during this month’s ceremony, making way for two new Cubs to swim up the river from Beavers to join Cubs at the other side. 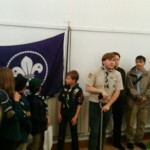 After the ceremony ended we broke into sections to work towards different challenges. 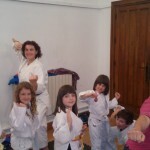 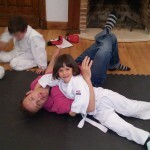 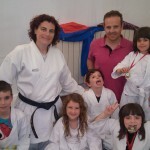 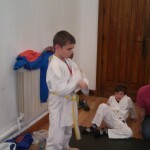 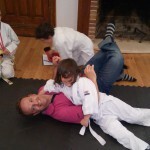 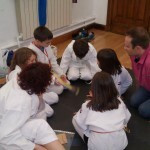 The Beavers demonstrated their sports skills with several of them dressing in kimonos to carry out martial arts, whilst others dressed as footballers and rugby players to discuss those sports and others did dance, athletics and basketball. 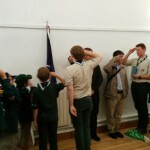 We have some very talented and extremely fit young Beavers in our troop! 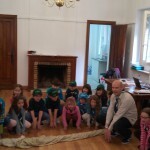 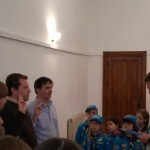 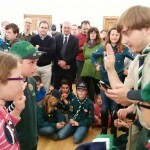 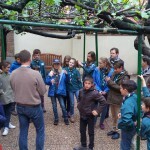 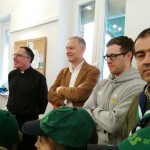 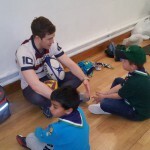 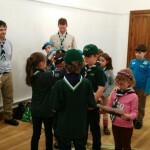 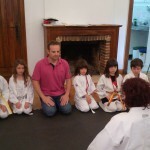 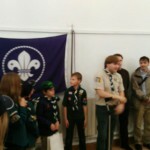 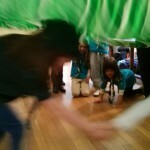 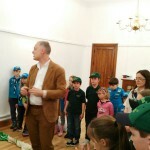 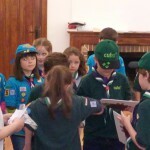 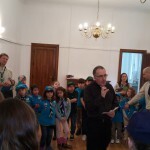 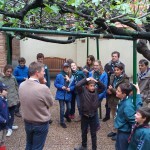 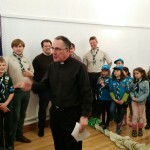 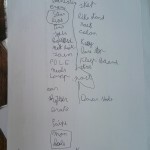 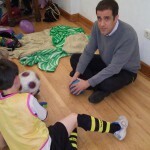 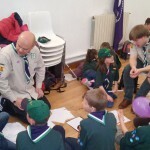 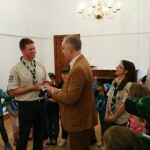 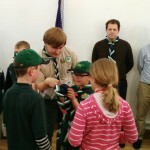 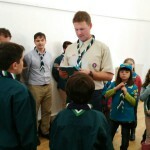 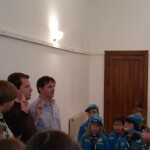 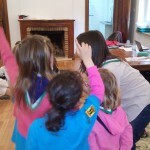 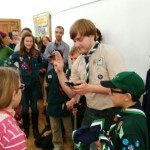 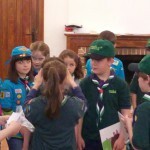 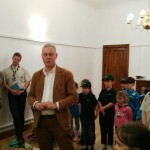 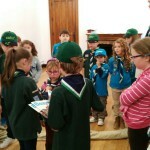 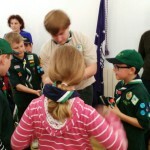 Meanwhile Scouts and Cubs were planning activities to do during the next camp in May. 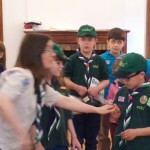 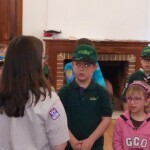 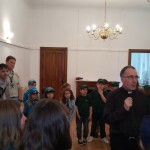 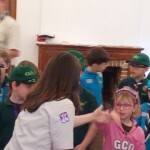 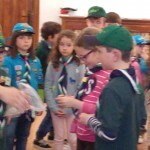 When the Scouts needed to use the hall for one of their activities, the Beavers went out for a walk in small groups of children with a magnet each. 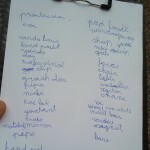 The challenge was to see how many things in the surrounding neighbourhood were magnetic. 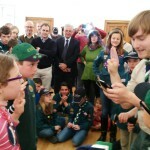 The winners managed to find 40 different items that were magnetic in the space of 15 minutes!